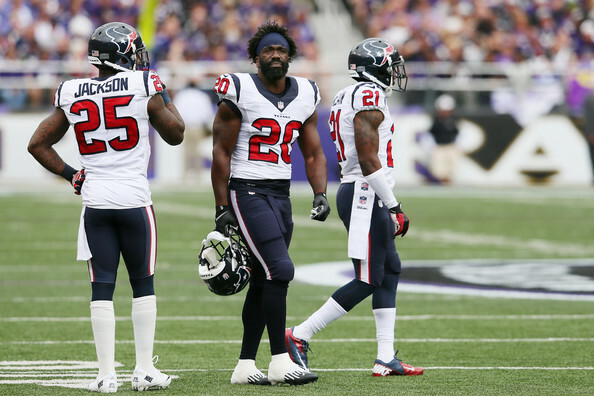 Released by the Houston Texans, it doesn’t seem like Ed Reed is going to finish the season without a team. Both the New England Patriots and the New York Jets have shown some interest in the veteran Safety, who hasn’t been having the best of seasons which also might be his last in the NFL. According to Pro Football Talk, Reed is ranked 73rd among safeties in the NFL, but there doesn’t seem to be anything actually working well for the Houston Texans this season. Reed wasn’t very involved this season with the Texans, starting in five games and playing a total of seven, recording 20 tackles this year so far and 0 interceptions. The Texans defense actually started out as one of the best in the NFL, but at some point even that didn’t manage to last. So where does he land? Besides the Patriots and Jets, the Baltimore Ravens, his former team, was mentioned, but they’ve already announced they won’t be signing him. Maybe when it’s time for him to retire they’ll give him a one-day contract, but now isn’t the time. The Dallas Cowboys and the Indianapolis Colts make for an interesting choice, but an unlikely one. The Patriots were mentioned as the number one place for him to go during the offseason, despite the rivalry. Bill Belichick and Reed have something of a friendship going on, and the injury to Steve Gregory might mean that a surprisingly good secondary unit is going to need some help and cover in the form of Reed, who recently turned 35 and is in his 12th NFL season. The Jets have Rex Ryan, the man who spent plenty of years as a Defensive Coordinator with the Ravens and knows Ed Reed very well. Antonio Allen still hasn’t fully recovered from his concussion, so they might need help in covering. The Colts connection is also a coaching one, with Chuck Pagano being someone that helped recruit Reed to the U in Miami after high school. The Dallas Cowboys is more a matter of convenience – staying in Texas, and playing for a team that needs some secondary help, and an owner who loves big names.